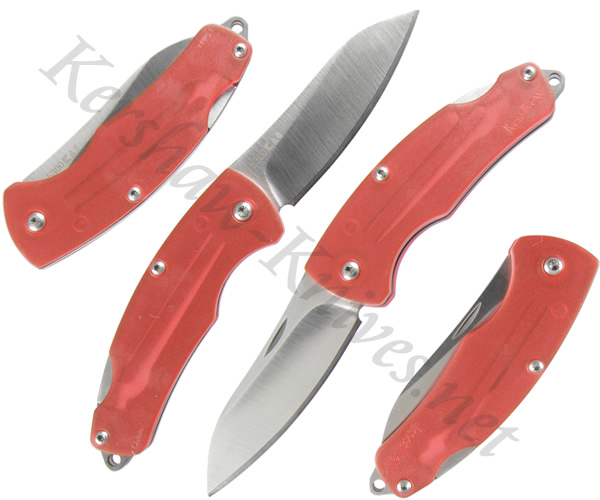 If you are looking for a quality, uncomplicated everyday use knife, the Kershaw Little Lockback Red 5300RD may be for you. It features a traditional lockback design with nail nick opening. The sheepfoot blade is made from proven 8Cr13MoV steel for strength and edge retention. A nod to modern design can be found in the stylish red ABS plastic handle. A lanyard loop provides additional carrying options for the Kershaw 5300RD.